Dutton Garage was born of a dream. • That it must be managed and run by car experts and motoring enthusiasts rather than salespeople. It is the realisation of this dream that makes Dutton Garage the home of luxury, prestige, exotic and classic cars. Just imagine taking three powerful, respected and acknowledged scions of the luxury, classic and race car markets and creating a dream team. • The largest Australian luxury car wholesaler with more than 40 buyers nationwide purchasing and selling 13000 cars internationally. With its immense buying power any car anywhere in the world can be bought and priced aggressively for sale. • The Morgan Sachs Group, set up by Gavin Fernandez and George Nakas 17 years ago, are the proud owners of Dutton Garage. • Adding to this, Dutton Sporting Cars has a lineage that brings over hundred years of classic car expertise. First established in 1911 by Albert Octavius Dutton – the Dutton brand has a legacy of auto racing in Australia that is beyond compare. • And finally, adding to this a hybrid team of race car enthusiasts, engineers and drivers, headed by Ben Henson. Ben brings 30 years’ experience in race preparation and historic restorations. 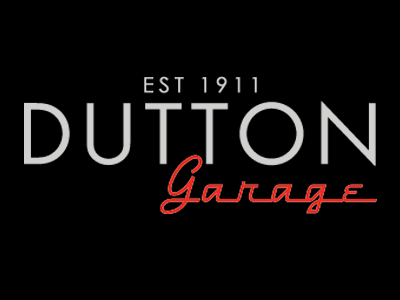 • Dutton Motorsports has an illustrious history on the race track and a dazzling future as part of Dutton Garage. These three forces combine to make the Dutton Garage dream team. But something else helps set them truly apart.